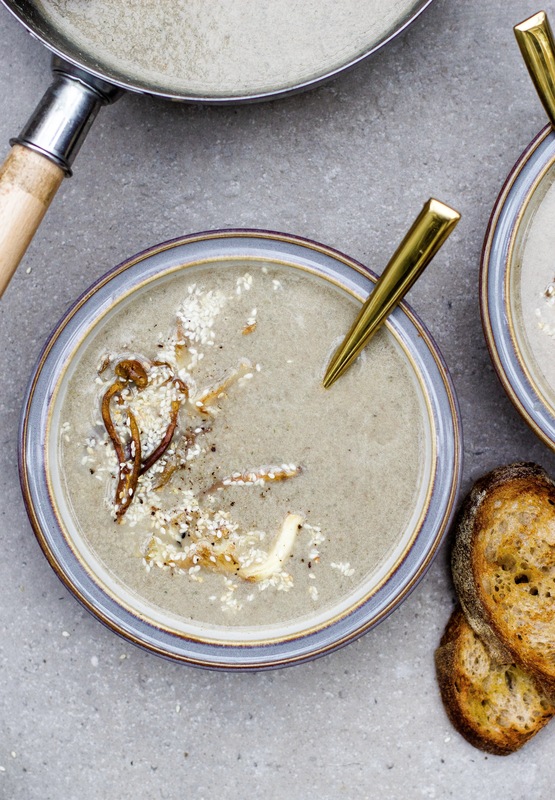 This is the best creamy mushroom soup. I use gorgeous tahini to make it rich and smooth and it gives it the most incredible flavour. You can have it on the table in less than half an hour- it’s the dream lunch with some toasted sourdough. Add the olive oil to a large pot on medium heat. Chop the celery and slice the mushrooms. Add them to the pot with the diced onion and minced garlic. If you want to, you can hold back a few mushrooms for topping the soup at the end. Pinch the thyme leaves from the stalks and add them in too. Toss well and let it all cook for about 5 minutes, stirring regularly until everything has softened. There will be some liquid in the pan from the mushrooms. Stir the tahini into the liquid, along with a good sprinkle of salt and pepper. Pour in the stock and then let it all simmer for about 20 minutes. Blend the soup until smooth using a handheld blender (or just pour the mixture into your blender). Then keep it warm on low heat. Heat the sesame seeds and any extra mushrooms in a pan until golden. Serve the hot soup with the sesame seeds, extra mushrooms and some salt and pepper. I love to post your recipes to my Pinterest account as that’s where I go to look for inspiration, but the Pinterest button is not showing on this recipe, and the ‘share this’ doesn’t seem to be working. Also your anti-spam equation is out of sequence (below). Love your recipes! Thanks. Made this soup yesterday. It was fabulous! 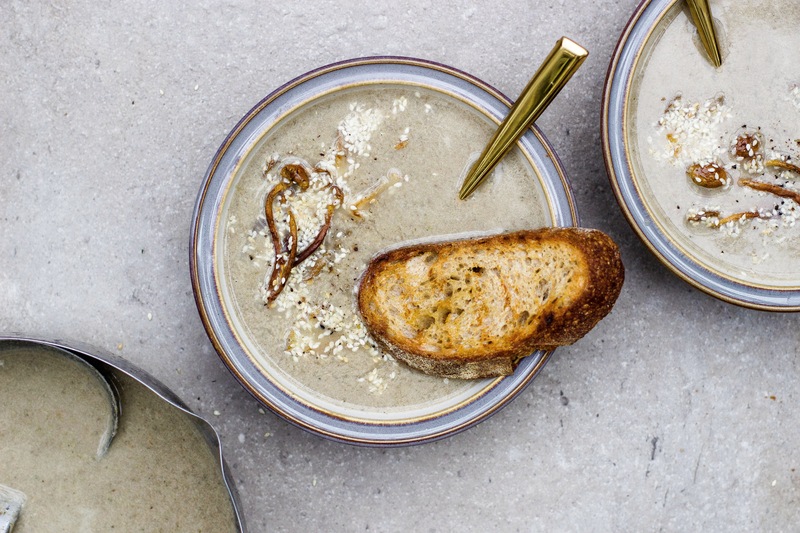 I’ve made this twice now and love it – I really wanted a gluten and dairy free mushroom soup and was so pleased when you posted this as your recipes always work. Thank you!